This Alaskan Gold Nugget comes from one of the dredgers shown on the Discovery Channel TV show "Bering Sea Gold - Under the Ice". 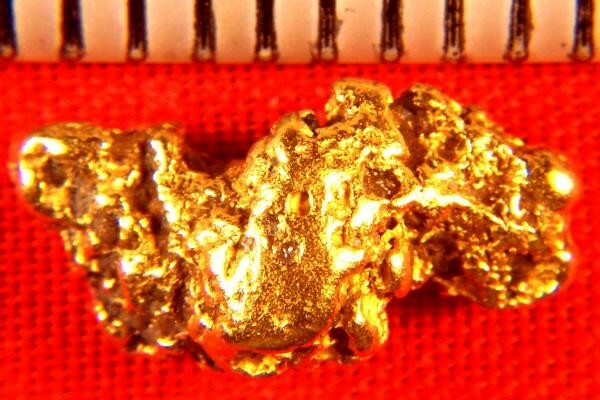 This gorgeous Alaska gold nugget is 9/16" (15 mm) long and has beautiful color. The weight is 35.6 Grains (2.3 Grams). 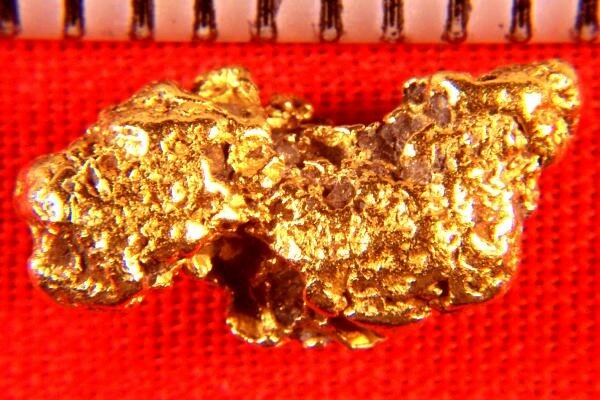 This is a very nice Alaskan Gold Nugget.